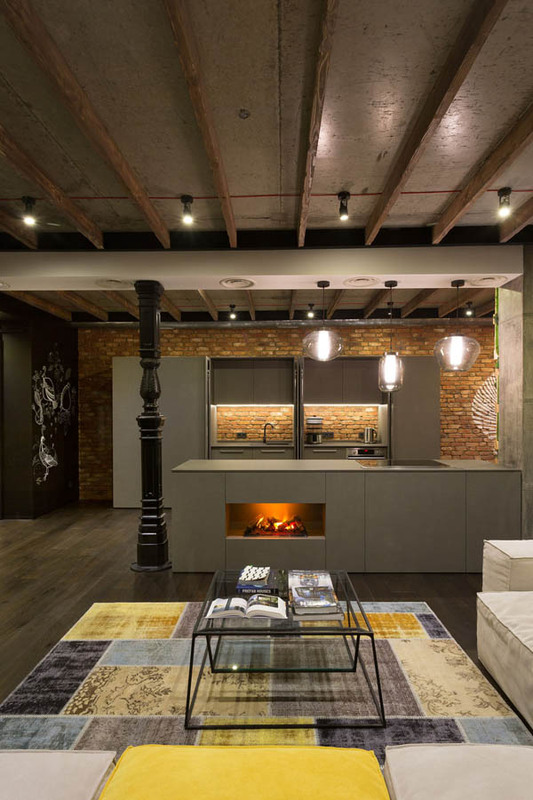 Designed by MARTINarchitects, this unusual loft makes you re-think about the privacy in home design. 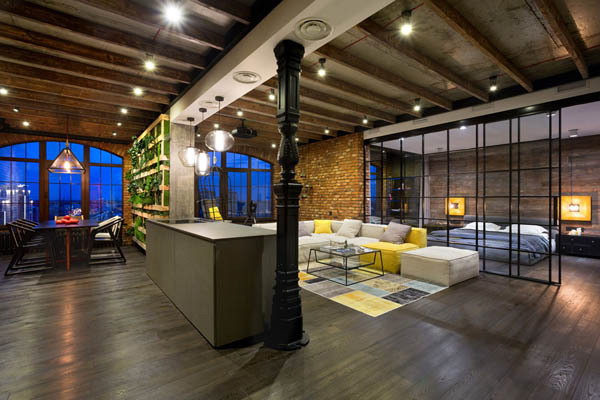 Belonging to a dynamic young lawyer, this bachelor pad was designed with his owner’s lifestyle in mind. 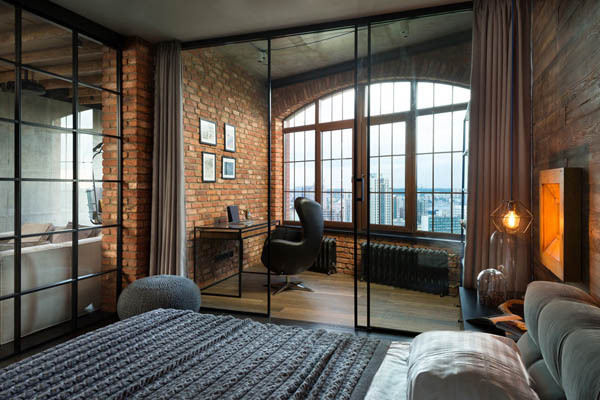 The first thing you will notice is the unusual feeling follows the transparency between living spaces, dining spaces and the bedroom. 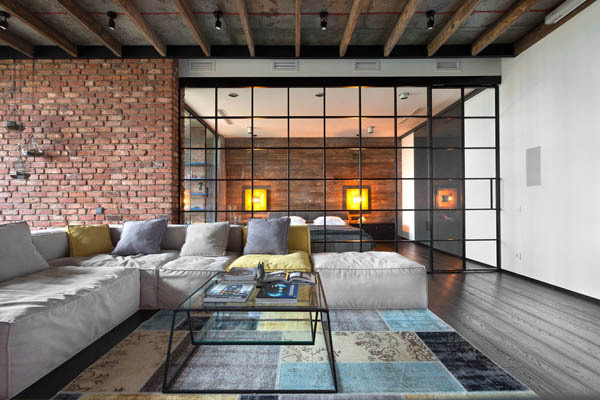 Yes, there is no wall, no curtain, just some steel grid to separate living space and bedroom. 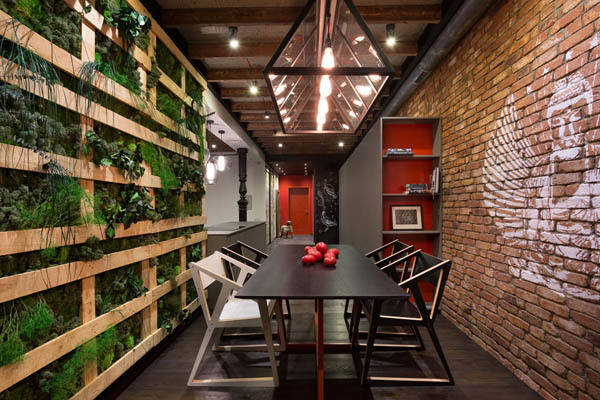 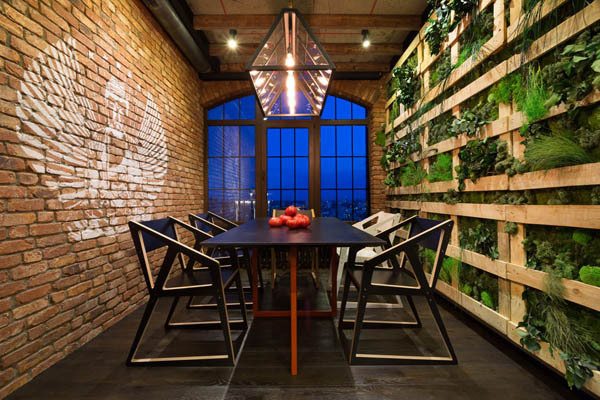 Besides that grid wall and the eye-catching green wall in the dining space, all the other wall is made out of brick. 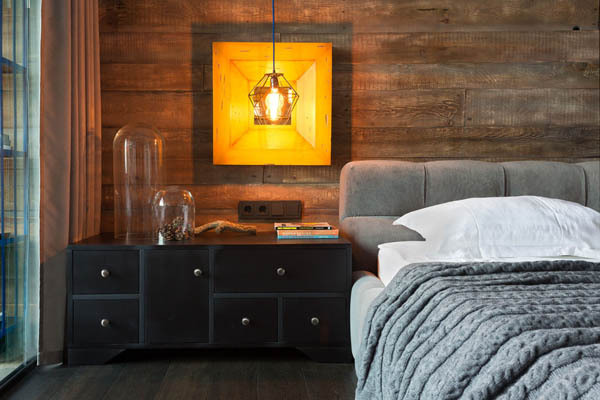 Moreover, the light fixture and furniture selection are another highlights of this place. 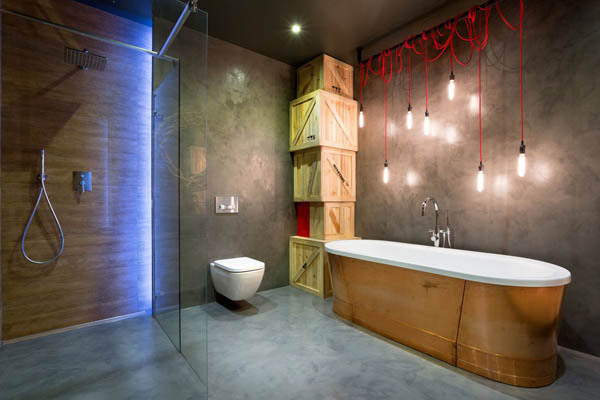 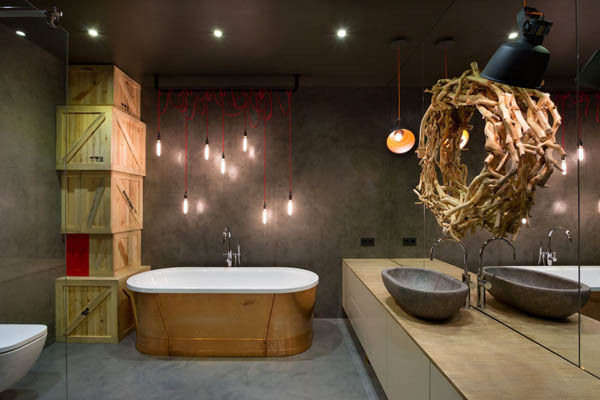 The wooden box in bathroom is quite interesting choice. 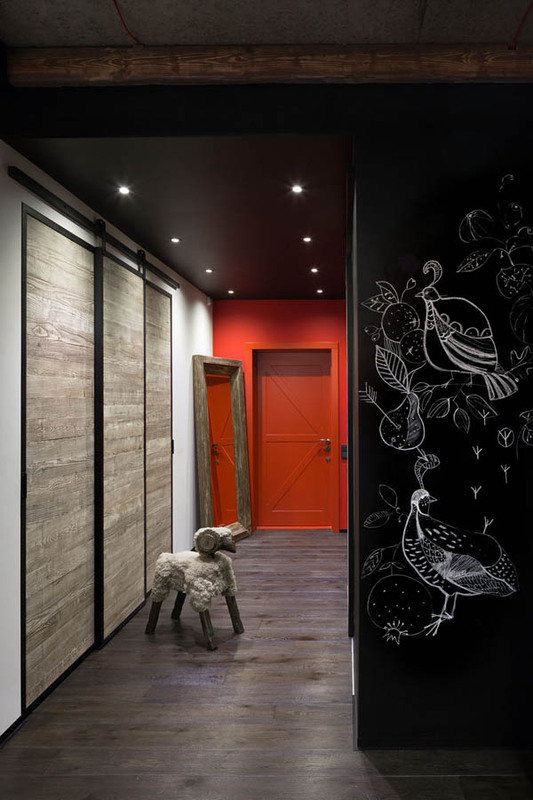 Not sure is that just for decoration or it is actual storage space. 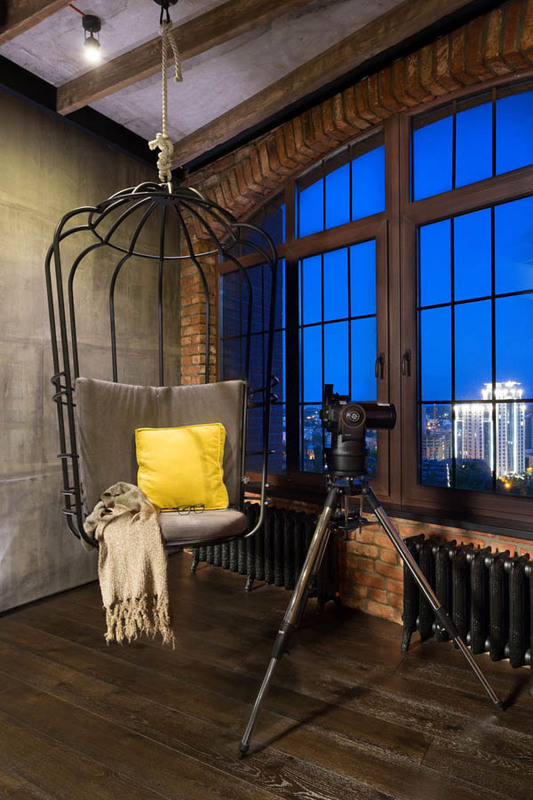 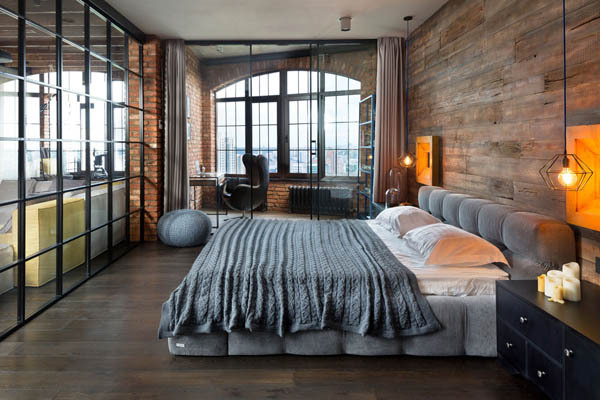 But anyway, this 115 square meters loft just gives us a new perspective of home design.